With great pleasure we announce that Anna Neuber & Kata Sebők are the champions of the Leiden Open Novice Final 2016. Competing as the team “The Wien Machine”, they broke after five preliminary rounds into the Novice Final together with three other teams from England, including a team from Oxford, and the Netherlands. Kata and Anna, speaking from Opening Opposition on “THW would allow the armed forces to unionise, strike, and collectively bargain” prevailed against all other teams and won the final. 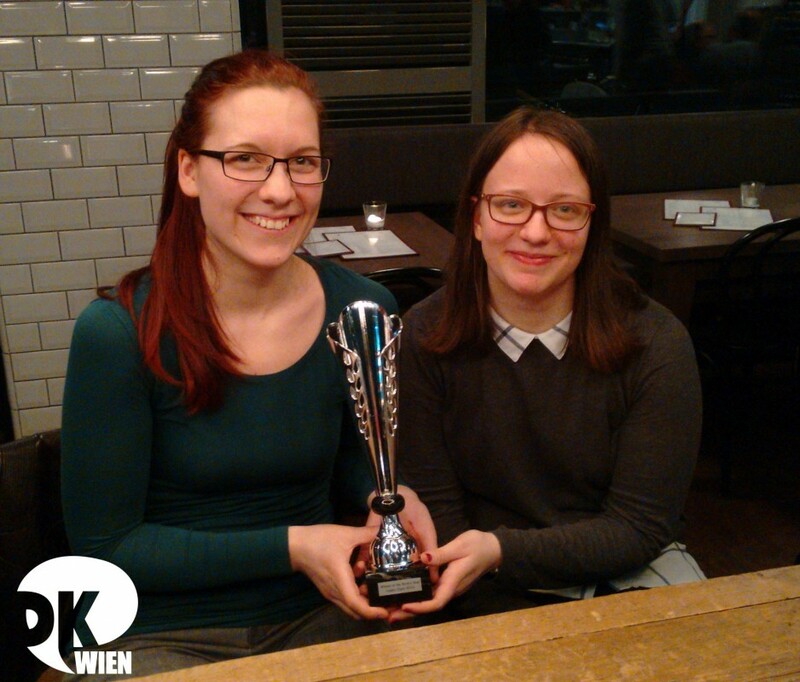 In the ceremony, Kata & Anna received a trophy (see picture). Congratulations! The team “Daaan”, Daan Welling (Netherlands) and Dan Lahav (Israel) won the final debate in the Open category. Congratulations! 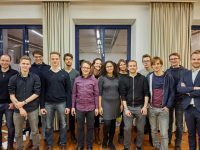 Last but not least, our thanks go to the tournament’s organisers from the Leiden Debating Union, who hosted a great weekend for DKWien’s three teams and two judges. Rd 1: THW ban fortune telling. Rd 2: THW directly elect the members of the US Supreme Court. Rd 3: THBT schools should motivate children to believe that anyone can succeed through hard work regardless of their background. Rd 4: THW grant those diagnosed with terminal illnesses the right to access treatments that have not completed clinical testing. Rd 5: THBT post conflict governments should recruit rebel soldiers into state armies. Semi-final motion: THW allow individuals to sell their right to sue to a third party. Novice Final motion: THW would allow the armed forces to unionise, strike, and collectively bargain. Final Motion Definition: Immediate democracy is a method in which citizens can change their vote at any time. The number of MPs given to each party is allocated on a daily basis and represents the current support percentage of the population. In this system, there are no elections but the number of MPs from each party can change every day. Final Motion: THW enact an immediate democracy. The tab is accesible here.